Dubai: International Cricket Council (ICC) on Tuesday announced USA (United States of America) Cricket as its 105th member. It was a historical moment for USA Cricket, which came into existence after USACA was expelled in June 2017 for lack of cooperation in terms of unifying the cricket community in the country. 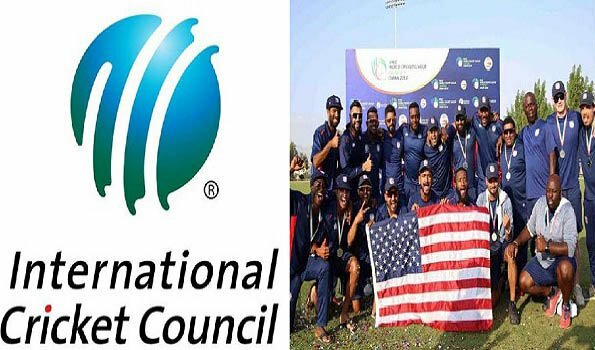 According to an ICC statement, USA Cricket's application to become the 93rd Associate Member in accordance with the ICC Constitution was approved by ICC Members following the Membership Committee's recommendation to the ICC Board late last year and is implemented with immediate effect. A transition plan has been agreed for the governing body, which has, to date, been managed by the ICC Americas regional support programme. This will see all governing body obligations transferred to USA Cricket under the auspices of the USA Cricket Board of Directors this month. The recruitment of a Chief Executive and key management roles will begin in due course as the immediate priorities of the new Member. ICC Chief Executive, David Richardson said: "This is the culmination of a great deal of hard work and I would like to congratulate the Chair of USA Cricket, Paraag Marathe, and the Board, on this important milestone and wish them all the very best for the future. USA Cricket Board Chair, Paraag Marathe said: "USA Cricket was established to bring together the cricket community in the United States, develop the game and unlock the sport's undoubted potential for growth. Today's confirmation that it is the ICC's newest Member is a significant staging post on that journey. "As David mentioned, this recognition is not just the work of our Board but is a result of thousands of volunteer hours over the last 18 months and USA Cricket appreciates the time, effort and sacrifice of all those involved," he added.